Sleep Number P-6 VS. I-8 - Which Model Is Best For You? Home » Sleep Number P-6 VS. I-8 – Which Model Is Best For You? Sleep Number P-6 VS. I-8 – Which Model Is Best For You? 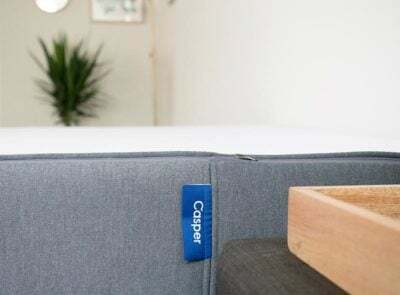 Both the P-6 and the I-8 mattresses from Sleep Number offer 3” of PlushFit foam and built-in features to keep you cool and asleep through the night. 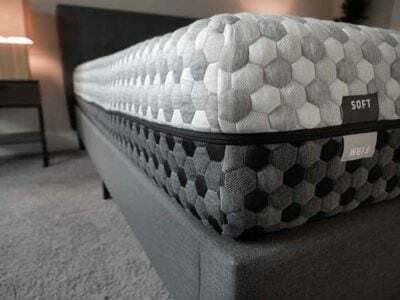 There are subtle details in each mattress that set them apart from each other. So, which one is right for you? 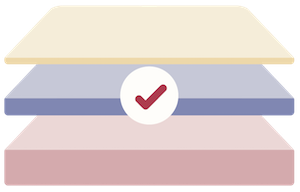 Check out our handy guide that breaks down the features in each mattress. 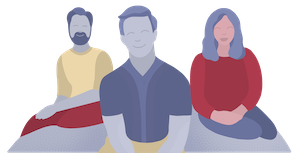 After speaking with Sleep Number Customer Service representatives, I learned about a few extra details and clarifications that may help you decide between a P-6 or an I-8 mattress. 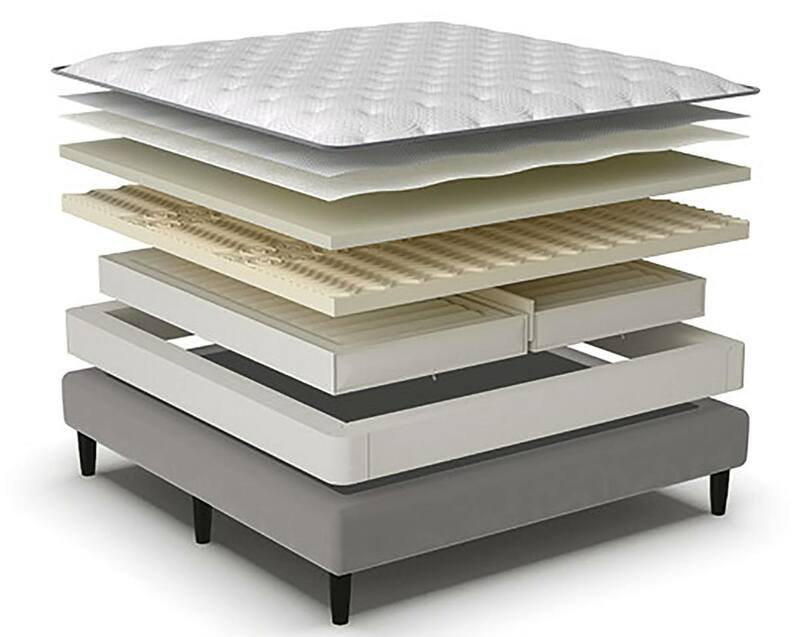 Mattress Top and Firmness: Both mattresses offer unique tops which end up making a slight difference in firmness between them. The P-6 has a more traditional soft knit top, while the I-8 has a duvet pillow top that includes 2” of Hypersoft Quilting Foam. Customer Service told me that the I-8 is slightly more plush than the P-6, which will make the P-6 a firmer mattress (but only by a little). Cooling Technology: The P-6 and the I-8 both feature fabric that is intended to help keep you cool at night. The P-6 has moisture wicking technology in the fabric of the mattress but the I-8 has Outlast technology built into the mattress top. Outlast technology is designed to pull moisture away from your body and redistribute it throughout the night. You Want A Firmer Mattress. Customer Service at Sleep Number told me that between the P-6 and the I-8 mattress, the I-8 is softer (and also more popular). This is most likely because of the unique mattress top in the I-8 that comes with quilting foam sewn in. Those who are looking for something firmer may want to go with the P-6. You Want To Spend Less. There is a $900 price difference between Queen size P-6 and I-8 mattresses. 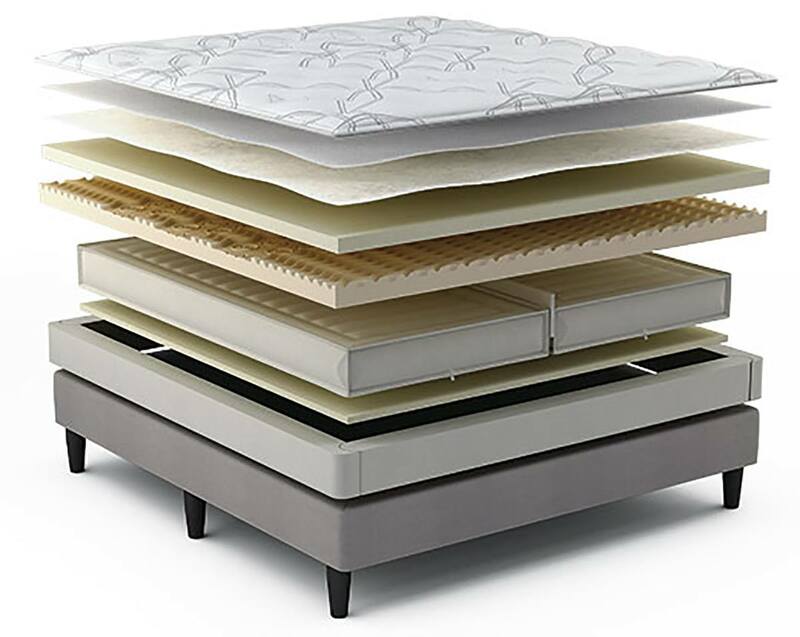 Going with the P-6 frees up some funds to purchase accessories like Sleep IQ Technology, a FlexFit Adjustable Base or other mattress pads and sheets that are customized for Sleep Number beds. You Want A Softer Mattress Top. The I-8 has a super comfortable mattress top. It’s got a woven Duvet pillow-top that includes 2” of Hypersoft Quilting Foam for a plush surface, according to Customer Service. They specifically told me that this makes it slightly softer than the P-6 and is also the more popular choice. You Want Full Body Pressure Relief. The 3” comfort foam in the I-8 is designed to relieve pressure in 7 areas of the body and the P-6 is designed to relieve pressure in only 5 areas. The I-8 adds body contouring to the knees and lower legs and the P-6 design does not focus on those areas. You Want Sleep IQ Technology Included. Sleep IQ Technology is inserted into your mattress and used to track your sleep and help you find your ideal Sleep Number Setting. This is already included when you purchase an I-8 mattress. You would need to pay extra for it (roughly $199) to add it in if you go with the P-6. You Are A Hot Sleeper. Both mattresses include cooling technology. The P-6 has moisture-wicking fabric in the mattress knit but the I-8 has the Outlast technology, designed to pull moisture away from you at night and redistribute it throughout the night. 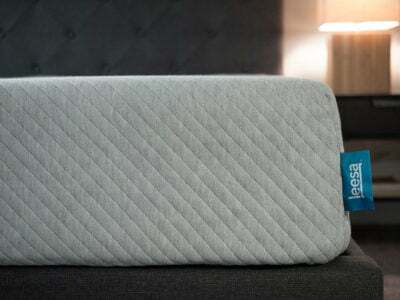 Find our entire Sleep Number review here. 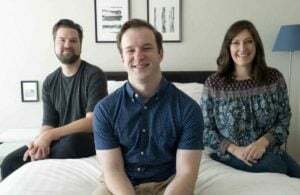 Customer Service did tell me that the I-8 mattress was more popular than the P-6 simply because it is softer – thanks to its more luxurious mattress top with fabric that will control any temperature swings. In my opinion, the P-6 is very close to the best selling P-5 model and offers a good amount cushion and its own moisture-wicking fabric that I would save the money and go with the P-6 over the I-8. 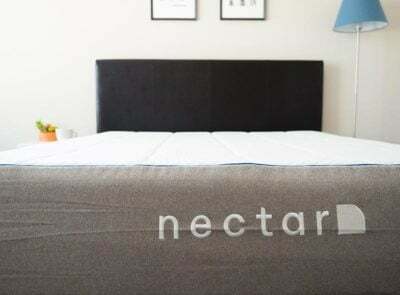 As someone who prefers a firmer mattress and would prefer to control temperature with my own mattress topper or mattress protector, I would save the money and choose the P-6 over the I-8 mattress.